NOTE TO RESEARCHER: The LGBTQ Collection is presently being processed, and will be added to the online database as they become available for researchers. Presently the bulk of this collection comes from the Daniel Dromm Papers and Senator/Assemblyman Tom Duane. 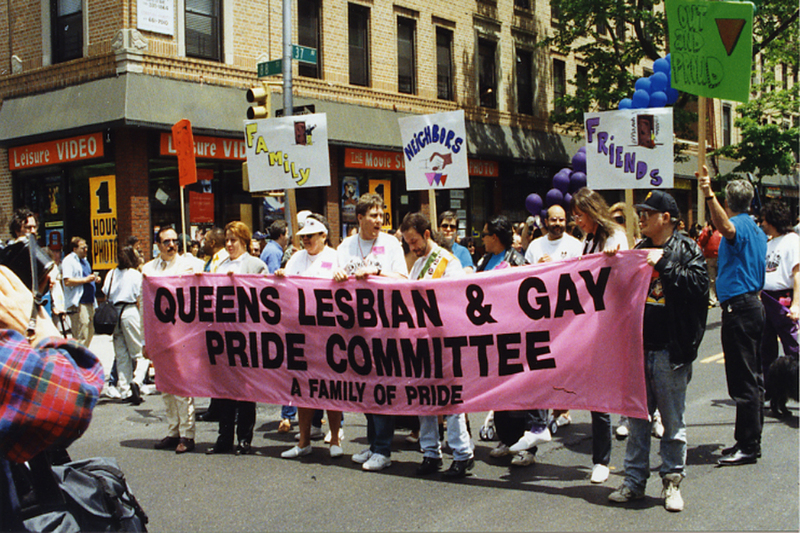 The Daniel Dromm Papers, expected to be available to researchers the summer of 2019, consist of 24 cubic ft. of documents and artifacts, illuminating Queens LGBT history and activism from the 1990s to the early 2010s. Dromm, a Queens public school teacher from 1984 to 2009, was a founder of the Queens Lesbian and Gay Pride Committee and an organizer of the Queens Pride Parade and Festival, inaugurated in Jackson Heights in 1993. The Senator Thomas Duane LGBTQ Collection consist of two Series: the Gay Literature Series and the Personal Gay Files Series. The Gay Literature Series consists mainly of issues of the Christopher Magazine from 1976 to 1993. The Personal Gay Files Series contains documents collected by Senator Duane, before, during and after his time in political office, related to LGBTQ issues. var HighlightPHOTO = "PHOTOS/"+ getHighlightsPhotoDirectory(item.COLLECTION_ID) + item.Highlight_PHOTO; // alert(HighlightPHOTO); var TheListItem = "
"; TheListItem += " "; TheListItem += "" + item.Highlight_TITLE + " "; TheListItem += "" + item.Highlight_DESCRIPTION + ""; TheListItem += "